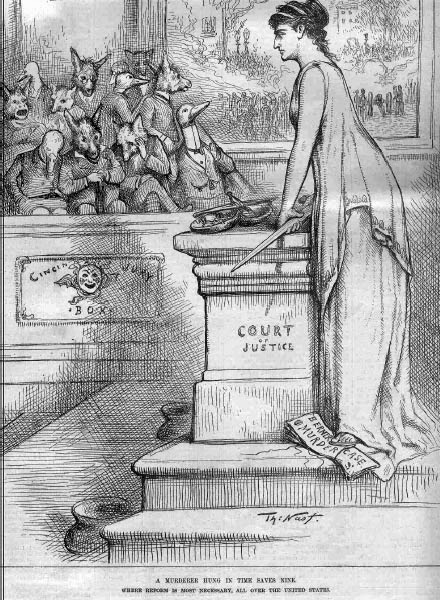 Murder by Gaslight: The Courthouse Riots. William Kirk was a sand dealer who had recently started dealing in horses. On December 24, 1883 he had left his home in Cincinnati with over $200 in his pocket, bound for Cheviot to buy a horse. Four days later his body was found in the banks of a stream just outside of Cincinnati. Around his neck was a rope and his tongue protruded as if he had been choked to death. There were also marks of severe blows to the top of his head. Some hayseeds stuck to the bloody rope suggested to police that the murder had been committed in a stable. An investigation of Cincinnati stables led quickly to the identification of the body as William Kirk; the police found blood stains and bloody clothing in Kirk's stable. Two young hostlers in his employ, eighteen-year-old William Berner, son of German immigrants, and nineteen-year-old Joe Palmer who was mixed race, had hired a wagon from a nearby livery stable and it was blood stained as well. At first the two young men both professed innocence, but the police were convinced they were guilty and brought them in to be questioned separately. Palmer was the first to break. He said Berner had asked him to help with a delivery and Palmer agreed. He had no idea that there was a body in the wagon until Berner asked him to help unload it. He did not know how Kirk was killed. Then Berner admitted that Kirk had been killed by blows from a hammer, but he said Palmer had delivered all the blows. Palmer took all of Kirk's money and gave Berner $100. Then Berner hired the wagon and rode part way with Palmer but was not there when the body was unloaded. When Palmer heard Berner's story he called him a liar and made a full confession of his own. He said that he and Berner had seen Kirk, at various times, with large sums of money. They decide to rob him at the first opportunity. When they saw Kirk on the 24th, they agreed that the opportunity had come. Berner grabbed a hammer and Palmer a club, Berner struck the first blow and Palmer followed until each man had delivered four blows. When they saw that Kirk was still alive they wrapped the rope around his neck and each pulled an end with all of his might until Kirk was dead. Kirk was carrying $245 and Berner gave Palmer $100; their agreement was that the man who struck the first blow would get the lion's share. When asked what became of the money Palmer responded, "I went out with three or four fellows on Christmas night, and we blowed it all in. I have told the whole truth now, and nothing but the truth, and I feel a hundred times lighter." Palmer said that he expected Berner to go free because his people had money. In hindsight he knew the murder was a mistake. He told reporters, "This is a hell of a murder, and we ought to be lynched." Berner and Palmer were tried separately, with Berner's case taken up first. The trial lasted longer than two weeks with the prosecution painstakingly building a circumstantial case. Berner maintained that he has witnessed Palmer commit the murder but had no part in its planning or execution. But no one believed him and there was little doubt that Berner would be found guilty of first degree murder. He had murdered Kirk in cold blood, in broad daylight, on the day before Christmas, and the people of Cincinnati were in no mood for mercy. But apparently the jury was. After some deliberation they sent a message to the judge asking if they could recommend mercy. "We are gone…" said the prosecutor, "Berner will never hang." The judge predicted a verdict of second degree murder. Everyone was shocked when the jury found Berner guilty of manslaughter, with a maximum sentence of twenty years. 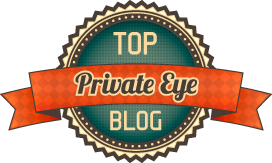 The spectators booed and hissed the jury and the judge exclaimed, "It's a damned outrage." He dismissed the jury without the customary thanks and they hurried from the courtroom to escape the angry crowd. In 1884, the government of Cincinnati was corrupt and dysfunctional; controlled by a virtual feudalism of competing neighborhood gangs. Mayoral elections would often include half a dozen candidates with no one winning a majority and the winner too weak to govern. Every function of city government was retailed by someone, and criminal jury verdicts were a big ticket item. Government anarchy was mirrored on the streets, and Cincinnati was suffering a wave of unrelated murders, averaging nearly two murder arrests per week. That spring, twenty-three indicted murderers were awaiting trial, including a man who had murdered his wife with an ax and two men who had killed an entire family in order to sell their corpses to a medical school. 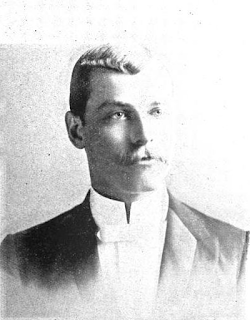 Berner's verdict was the last straw; many believed that the jury had been bought and serious threats of lynching were heard throughout the city. Three days later a group of sixty-four prominent citizens called for a public meeting to be held at the Music Hall. The goal was to call for a legitimate reform movement to oust the gangs and restore the rule of law to their city. 10,000 people attended the meeting, but the call from the crowd was not for reform. It was “Hang Berner.” A torrent of angry men poured from the Music Hall out into the street, bent on a lynching. The police at City Jail held on as long as they could, but the mob ultimately stormed the building and swarmed through the rows of darkened cells looking for Berner among the cowering prisoners. When they didn’t find him, they tried to burn down the jail. Then, failing that, the mob spread through the city looting gun shops, pawnshops, and wet goods stores. Retreating police telegraphed Columbus for help from the State Militia. The mob had been unable to find Berner because the police, afraid of trouble, had previously secreted him on board a train to the State Penitentiary, accompanied by two detectives and Cincinnati Enquirer reporter Ed Anthony, all posing as cigar salesmen. The ploy had given them a head start, but the telegraph was faster than the train and the anger had been transmitted to every station between Cincinnati and Columbus. In the town of Loveland, Ohio, the train was boarded by vigilantes and in the ensuing confusion Berner managed to escape and flee into the nearby woods. The armed citizens of Loveland swarmed into the woods and for several hours Berner’s fate hung on whether they or the Cincinnati police found him first. With no idea where he was, Berner had not traveled very far from the train and was never out of earshot of the crowd. He knew his position was hopeless, and, looking for the best deal possible, he surrendered to Ed Anthony, who handed him over to the custody of the Cincinnati police. The train then proceeded safely to the penitentiary with no further incident. abating, saw action immediately. 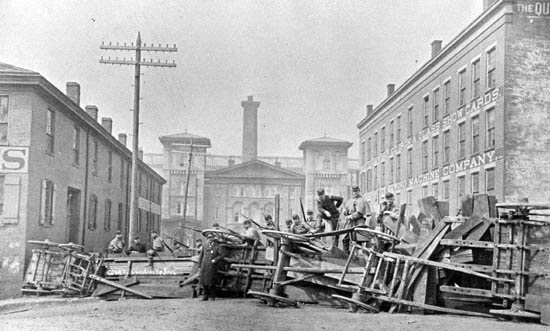 News of the uprising had spread through the Midwest, and that morning the rioters were joined by anarchists from Chicago and elsewhere. For a time, men who had been lifelong Republicans or Democrats were marching together under the red flag, exchanging gunfire with their state’s Militia. When it became clear to commanders that the Militia’s presence was fueling the riot rather than quelling it, they unilaterally pulled back, expecting to see the rioters follow suit. But it was too late to hope for restraint. 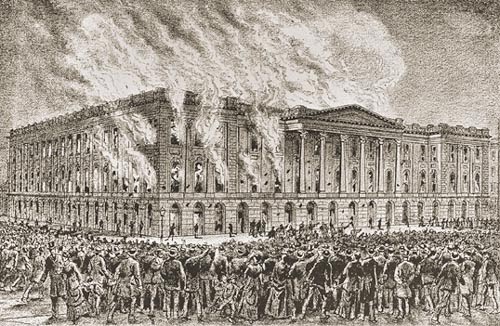 The rioters used the lull to execute the defining act of the uprising: they set fire to the Courthouse and burned it to the ground. Acts of destruction and vandalism continued throughout the city for the next two days. The Militia called in reinforcements and redoubled their efforts, mounting Gatling guns on sandbag barricades and overturned wagons. Sometime on Sunday night, the third night of the riot, the threat posed by the viscous guns combined with fatigue slowed, then ended, the mood of violence. But not before fifty-four men had been killed and an estimated two hundred wounded. Joe Palmer's trial was something of an anticlimax after tumult caused by the Berner verdict. The biggest problem for the court was assembling a jury of men who had not already made up their minds against Palmer. Drawing from a pool of at least 236 men, it took several days to find twelve who could be considered Impartial. In the end, no one was surprised that they found Palmer guilty of first degree murder. After an unsuccessful motion for a new trail, Joe Palmer was sentenced to hang. The execution on July 15, 1885, was private, held in the jail yard with the scaffold shielded from view by a stone wall and a large awning. Outside, crowds of people lined the adjacent streets to await news of Palmer's death. At two minutes after ten a.m. the trap was sprung but the fall did not break Palmer's neck. It was another twenty-six minutes before Joe Palmer was pronounced dead. On June 4, 1895, after serving eleven years of his twenty year sentence, William Berner was paroled by the Board of Managers of the Ohio Penitentiary for good behavior. He quickly left for Indiana and was never heard from again. 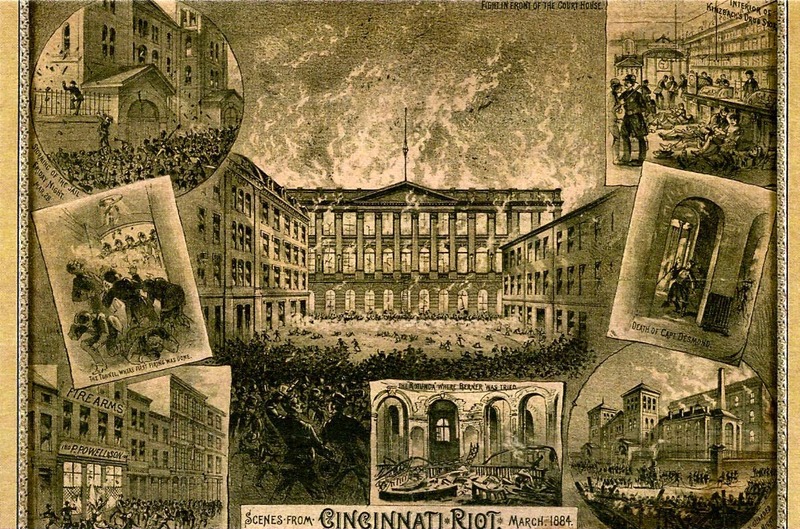 Following the Courthouse Riots, the people of Cincinnati did obtain government stability, if not the reform they desired. The situation paved the way for George B. Cox, boss of one of the most powerful political machines in American history. Well into the twentieth century, Boss Cox and his inner circle had absolute control over all facets of city government. Miller, Zane L. Boss Cox's Cincinnati. Westport: Greenwood Press, 1968. "Confession of Crime." Cincinnati Commercial Tribune 29 Dec 1883: 2. "His Just Deserts." Cleveland Leader 16 Jul 1885: 2. "Hooting a Jury." New York Herald 25 Mar 1884: 6. "Link by Link." Cincinnati Commercial Tribune 13 Mar 1884: 7. "Outraged Justice." Cleveland Leader 25 Mar 1884: 2. "Supposed Murder." Repository 28 Dec 1883: 5. "The Jury Difficulty." Daily Register 17 Jun 1884: 4. "Twenty Years." Cincinnati Post 28 Mar 1884: 1. "William Berner out of Prison." Daily Inter Ocean 5 Jun 1895: 1.